A WOUND IN TIME: THANK YOU!!!!!!!!! 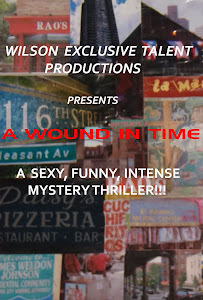 MUCHO GRACIAS MARIA RODRIGUEZ FOR BREAKING THE ICE ON THE CAMPAIGN FOR "A Wound In Time: The Feature Film"! We can't wait to get the DVD into your hot little hands!! !